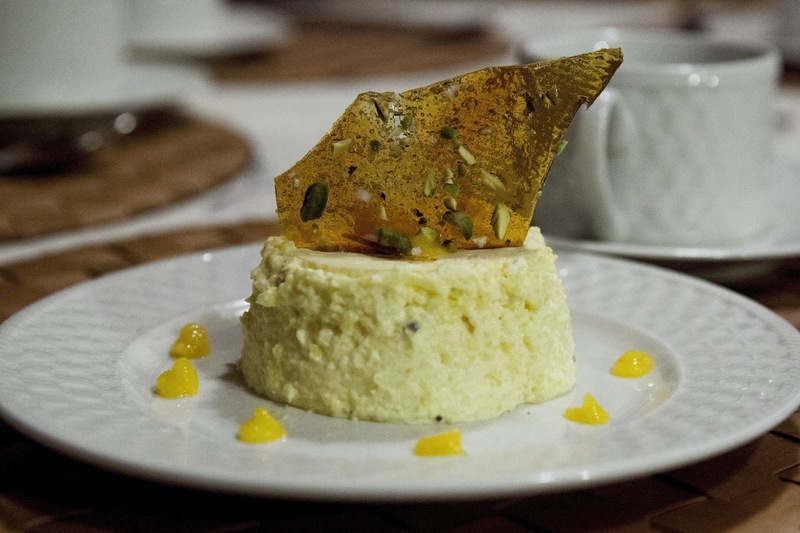 The Colors Of Indian Cooking: An Italian Classic Gets an Indian Twist, Mango Panna Cotta With Salted Pistachio Brittle. 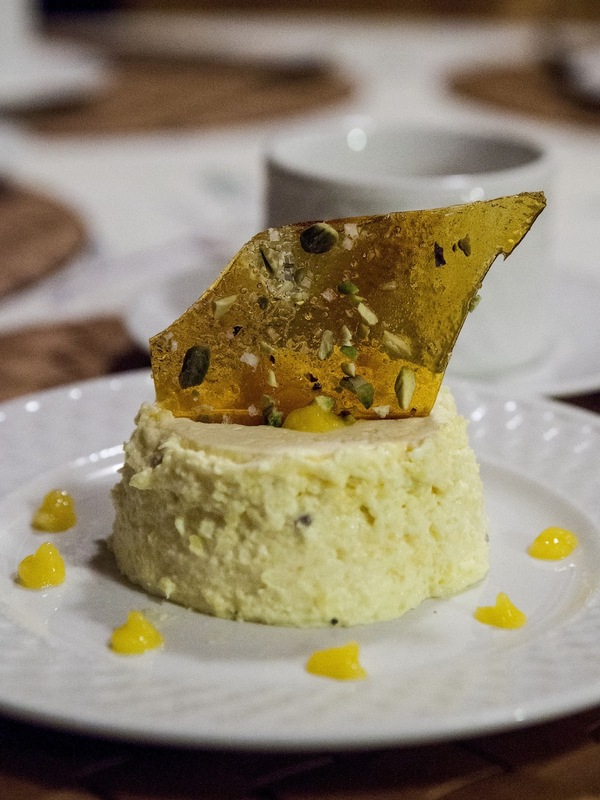 An Italian Classic Gets an Indian Twist, Mango Panna Cotta With Salted Pistachio Brittle. Around here, KISS has been the word over this Valentines/ Presidents Day weekend. Not the smoochy type of kiss but the keep it simple stupid variety. We're in a whirl of hunting over there. No, there's no ammo involved in this hunt. Just a lot of real estate (not my favorite subject) The people who bought our house are moving in in two months, we're nearly finished with the renovation on my parents house and we're looking for a new house to buy, and/or a temporary rental to live in while we continue our house hunt, or renovate whatever we buy. Arrrrgh! I just don't want to think about this stuff anymore. I want to get back to work, but this is life right now and I'm very aware there's a whole lot worse that life can dish out. So, I'll shut up now and get on to what's really important, easy, tasty, food. In this case, dessert because dessert makes one feel better no matter how one's day goes, or where. A fast dessert is even better. A dessert that can be made gluten free and even vegan, better yet.Thus, the Mango Panna Cotta. I haven't made a panna cotta in years. It used to be my go to, easy company dessert but then I got bored with it. Sometimes stuff can be too easy as my mom used to say. If you've not made or eaten panna cotta before I highly recommend it. It's an easy Italian custard sort of dish, but a custard minus the eggs, which I suppose doesn't really make it custard after all. Actually, in reality, Panna Cotta is a form of Blancmange. 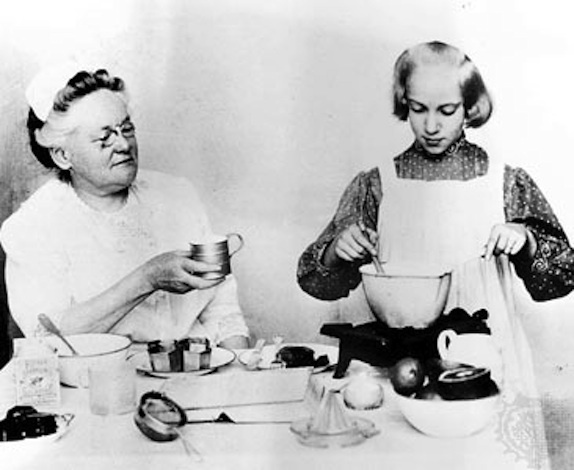 Blancmange, a pudding is traditionally made with milk or cream, sugar and gelatine. It's constantly being spoon fed to swooning invalids in 19th century novels which is where I first ran across it. 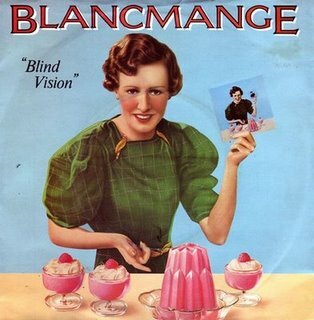 In novels there seems to be nothing that a little blancmange can't make better. 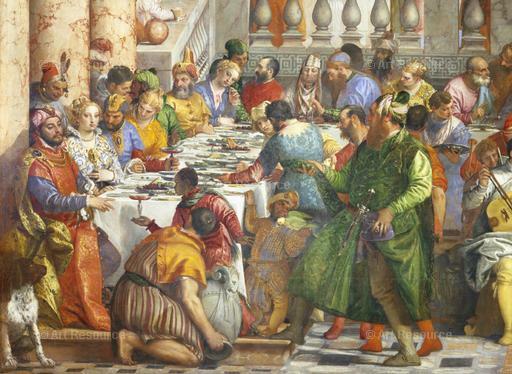 Of course once the Italians got their hands on blancmange, they had to jazz it up a bit. They changed the name to panna cotta. From there it's a hop, skip and jump to give this simple easy dessert Indian flavors. 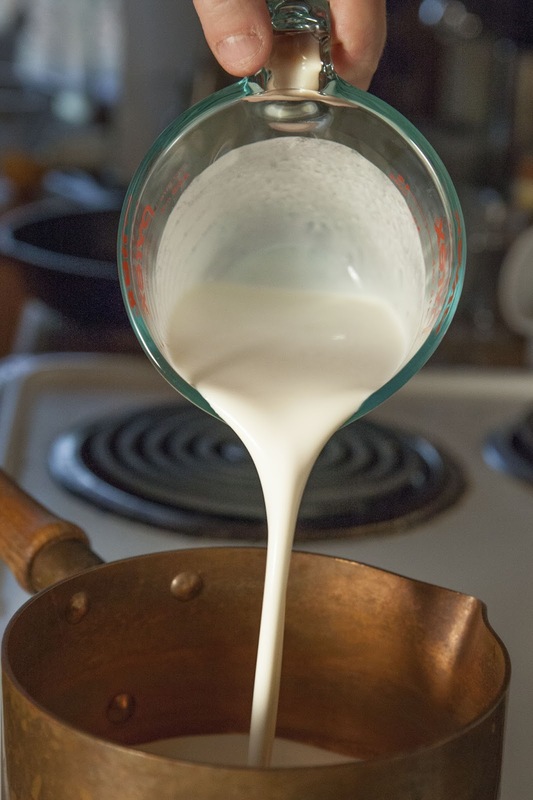 Panna cotta can be made with any sort of milk, almond, rice milk, coconut milk, or dairy will do. If you want to make the dessert vegan, use agar agar rather than gelatine, and it's naturally gluten-free. It can also be sugar-free depending on the sort of fruit one is using in the recipe. All the dish involves is mixing the gelling element with the liquid and chilling for a couple of hours. It doesn't get much easier. Is it any wonder, when I found myself flailing around looking for something easy yet fun to make for some friends dropping by, I started thinking about panna cotta once again? But this time, panna cotta with a difference. Puree fresh or defrosted frozen mango. When the mango is pureed, set aside 1/2 cup for the coulis. 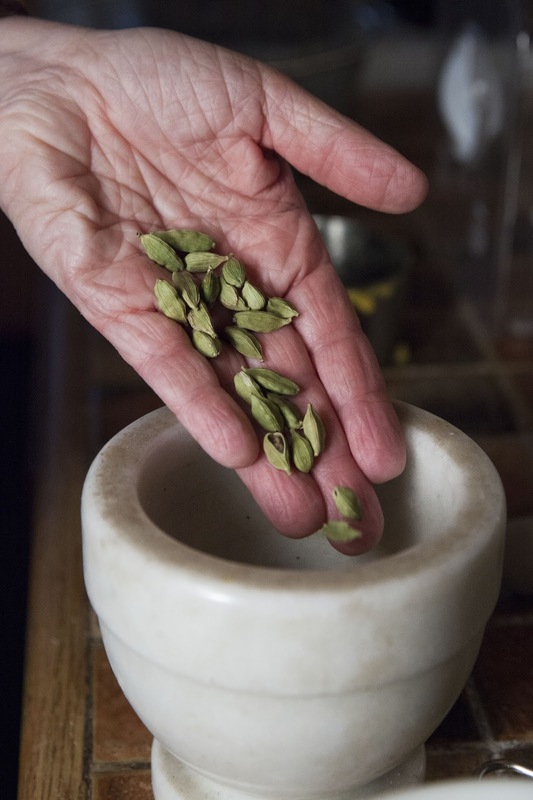 Crush the green cardamom pods in a mortar and pestle. Remove the seeds and throw the pods away. Crush the seeds and grind them up. Pour 1 and 1/2 cups of whipping cream into a small pot. Sprinkle the gelatine or agar agar oven the cream in the pot. Let the gelatine "bloom" on the cream. This takes between 1 and 2 minutes. When the surface of the cream becomes wrinkled and puffy, the gelatine has "bloomed" and is ready to use. 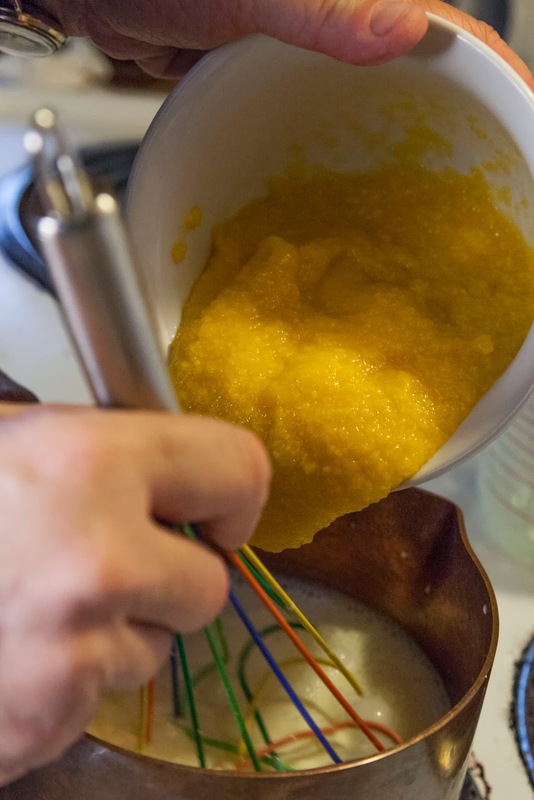 Whisk the gelatine into the whipping cream so that it's blended. Add in the ground up cardamom seeds. 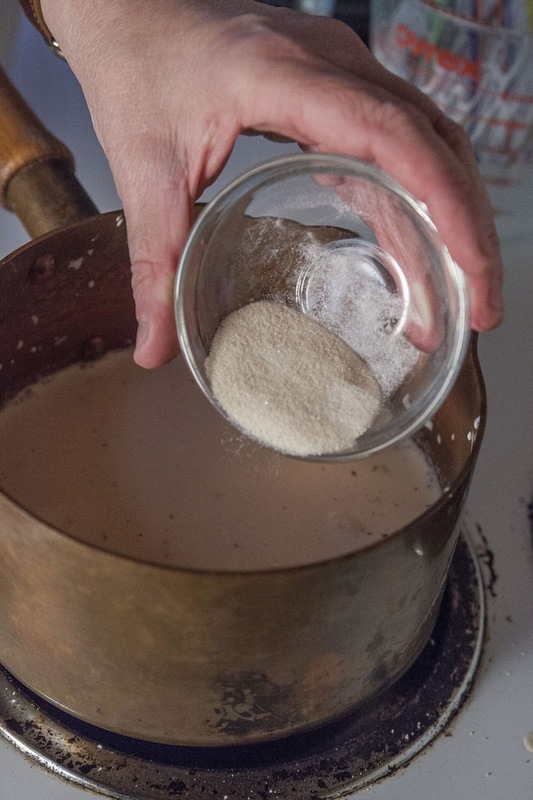 Warm the milk or cream, (sugar if you're using it) and gelatine so that everything is dissolved. DO NOT BOIL. 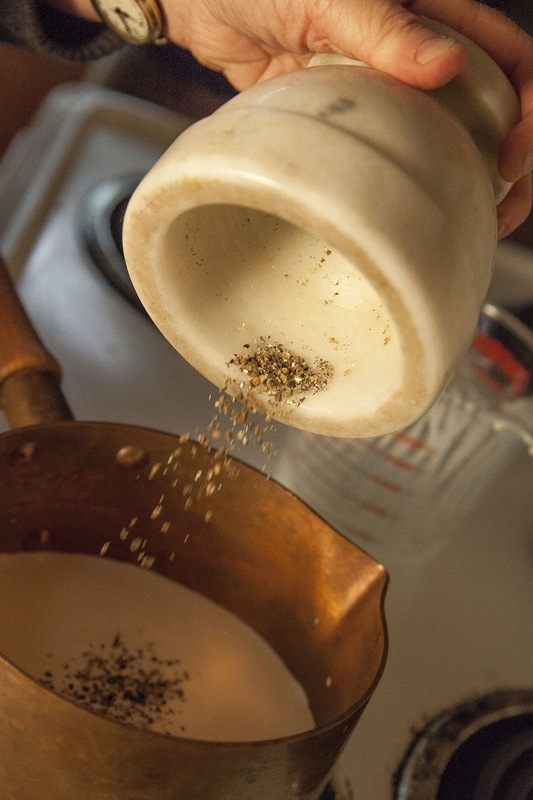 Take a bit of the mixture and rub it between your fingers. If there is no graininess then all is good and the gelatine is thoroughly dissolved. 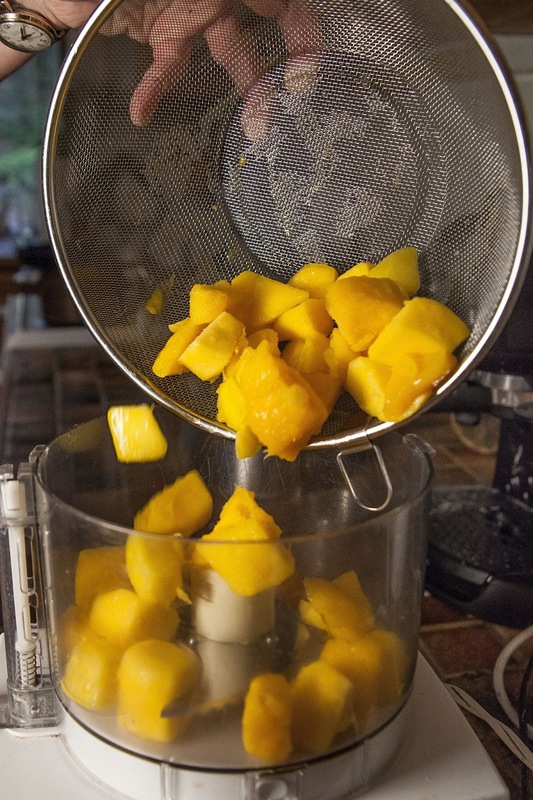 When the mixture is warm, mix in 1 and 1/2 cups of mango puree. Pour the mango panna cotta mixture into 5 small ramekins and pop them into the fridge to chill for about 2 hours. 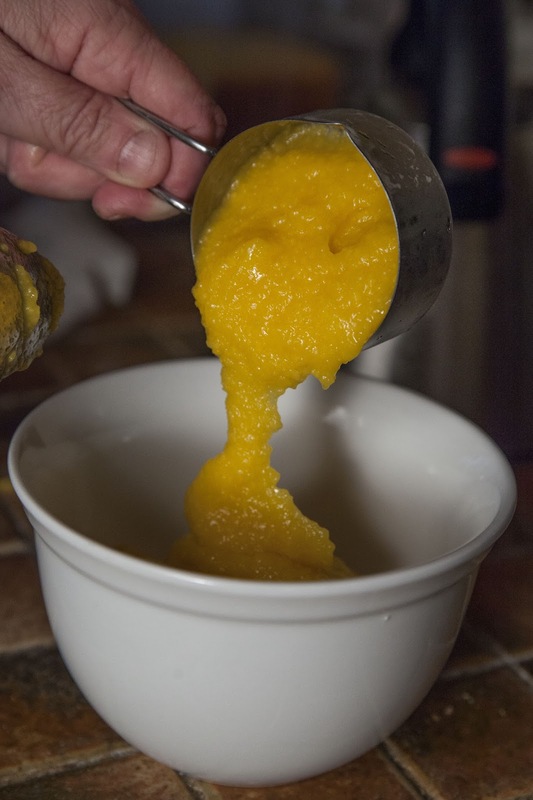 Thoroughly puree the extra half cup of mango so that it's very very smooth and set it aside in the fridge to chill. This is the coulis. 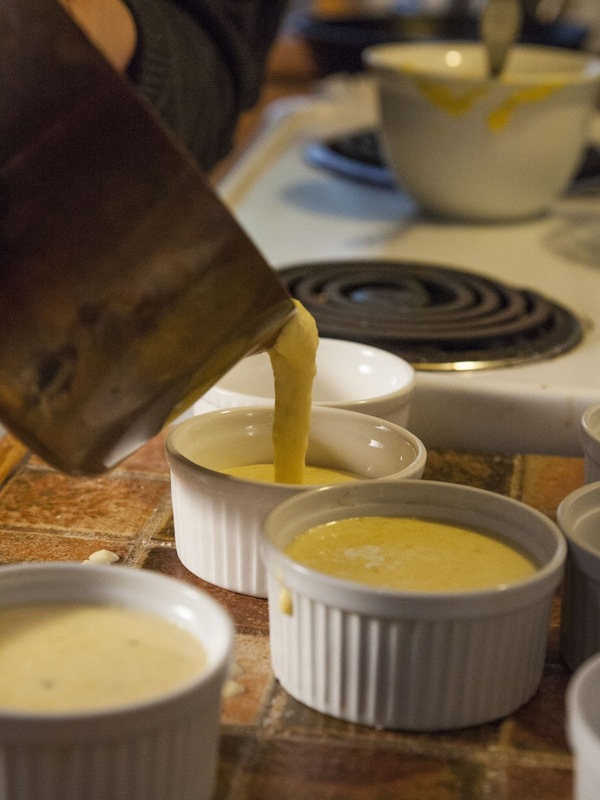 You can serve these right out of the ramekins or unmold them easily by running a sharp knife around the rim, then dipping the bottom of the ramekin briefly into a bowl of hot water. Unmold them onto a dessert plate. Delicious, and simple pure mango flavor. This is the sort of recipe that easily adapts to whatever dietary needs you or your guests may have. 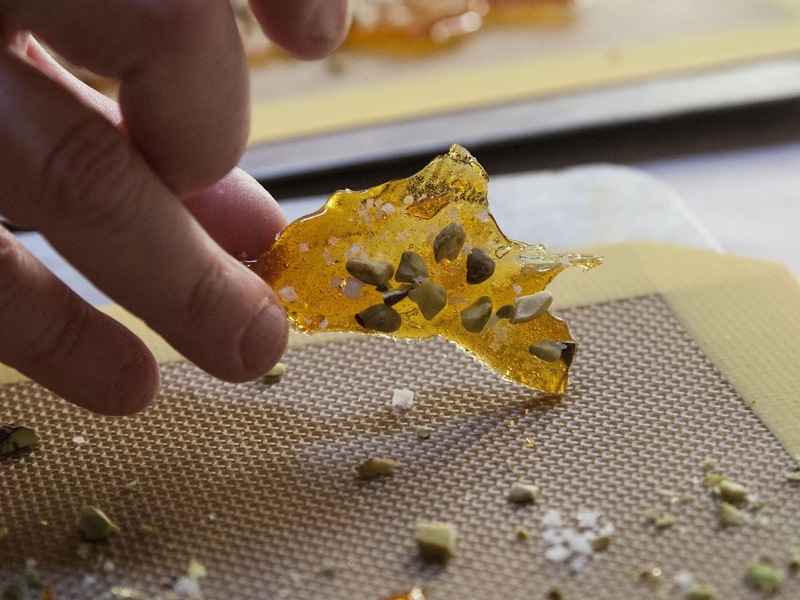 Coming up next, how to make the pistachio brittle. This is such a beautiful dessert and I love anything with mangoes. Nice recipe. It's been a long time since I've stopped by, hope you're doing well. What a fabulous idea! I'm going to have to try this some time soon. My better half loves mango. And that brittle is truly a thing of beauty.